This is a range of products I recommend and that I know you will benefit from. I have included links to all of the products where they can bought online to make things simple for you. I would love your feedback when you try them! I am often asked which food products I prefer to use, if I can recommend any cookbooks for specific issues and, what skin products are the best and chemical free. I have included a few things here and I hope you find the information useful. Herbie's spices are of the highest quality and they have a fabulous range of spice mixes and single spices. Herbie (Ian Hemphill) spent his childhood surrounded by herbs and spices, when his parents, John and Rosemary Hemphill, were pioneering the herb and spice scene in the 1950s. Thirty years of working in the industry, including face-to-face lectures to groups from the general public, industrial brokering, manufacturing and marketing, has made Herbie a well-respected and popular figure amongst his peers, in Australia and overseas. He now enjoys sharing his extensive experience and knowledge with his customers at Herbie’s Spices. I personally use a large range of Herbie's spice mixes and either buy them online here or at one of their stockists. The way I use some of the spice mixes is as a rub on chicken, fish or meat before cooking. One of my favourites is Baharat (Lebanese 7 spice). Yum! Enjoy. Would you like to eat a delicious, nutritionally balanced breakfast that will sustain you until lunchtime? 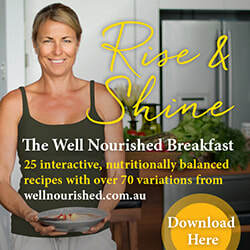 Do you find yourself running out of time in the mornings and skipping breakfast or reaching for a processed cereal or toast? Perhaps you just lack variety in your morning meal? Best of all, many of the recipes double as healthy lunches (lunchbox friendly) and snacks which helps to minimise your time in the kitchen. You can also read more information about this book following the link at left where there are details about the types of ingredients and also some sample pages. I love this book! Inika Organic doesn't compromise on quality or performance. Their organic make-up has won over 35 awards for product excellence and innovation, even beating big name brands in open categories. Maybe that’s why so many eco-conscious women, all over the world love the INIKA brand. INIKA makes 100% natural and ethical cosmetics and their products are designed to hydrate and nurture healthy skin. Their advanced botanical formulas are free from synthetic chemicals and free from harm. The products are certified organic, vegan, halal, and cruelty-free for added peace of mind. You can look at their range and buy online or find your closest stockist here. "Do you love cooking and eating great food? Do you worry about gaining weight? Do you have or suspect you have food sensitivities? Would you like to feel fabulous all the time? The good news is that there are ways of having your cake and eating it too. 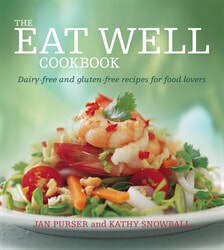 Basing their philosophy for health and wellbeing on their formidable combined experience in the food and natural health industries, Jan Purser and Kathy Snowball have created another cookbook with sensational healthy food suitable for all occasions, whether it's dinner for two, a family meal or entertaining the masses. And it's all gluten and dairy free, making it suitable for people with sensitivities or allergies in those areas." - as written on the Allen & Unwin website. 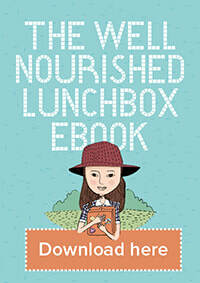 You can buy my book through Allen & Unwin or Fishpond.